There isn’t much in the world that can beat a fresh cup of coffee in the morning. Or mid-morning, afternoon, evening, well just anytime really! Here at Anchor & Den we don’t shy away from experimenting and one of our favourite home coffee creations right now is the all-natural, coconut coffee! Slightly sweet, delicious and if you’re not on a tropical island like us – close your eyes and sip, you will swear you can hear the waves of the Caribbean Sea! Our A&D coffee blend is so versatile it can be brewed in many ways. Whether you prefer French press, a Moka Pot or as fancy as a siphon, our coffee texture and taste is great with all methods. 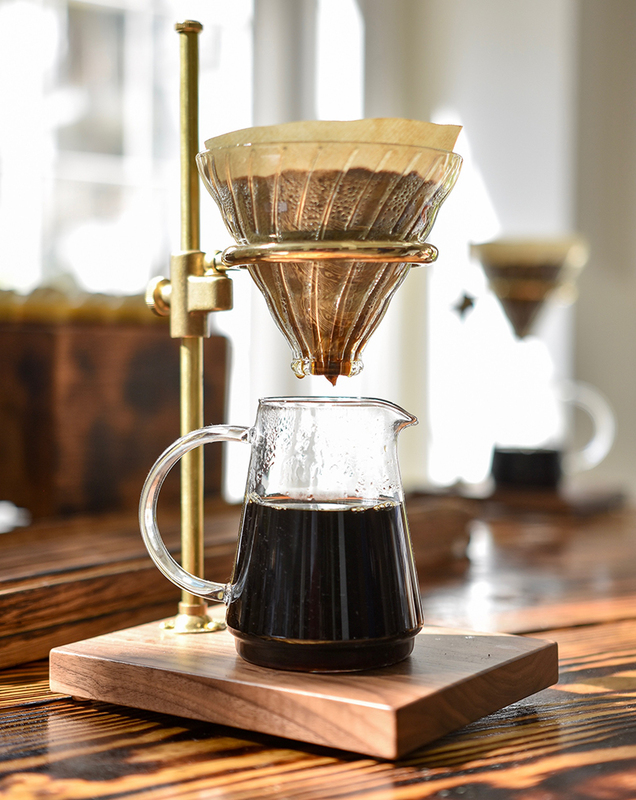 One trend we keep on seeing over and again in the world of coffee is the 'pour over' coffee. It is everywhere. In the last decade, it’s gone from a micro-niche in the coffee world to one of the most preferred ways of making coffee. So, we decided this was the method of choice for this delicious tropical creation! 30 grams or 3 tbsp. of A&D coffee (per serving) Make the bean’s coarseness resembling sea salt. 1 tbsp. of vanilla essence. To start, make the delicious coconut syrup. 1 Heat water over medium heat and bring it to a boil. 2 Add coconut sugar to boiling water. 3 Stir the syrup for around 3 minutes at boiling temperature, then bring down to simmer for 10 minutes. 4 Add vanilla essence and stir. 5 Remove the syrup from the heat and allow to cool. Now you have your syrup goodness. You can store it in the fridge and it will keep for up to six months! Add the ground coffee to the filter and gently tap it to level the surface of the grounds. Pour over the boiling water and relax! Once poured onto the hot magic that is your brewed coffee add 1oz of your coconut syrup and stir. Heaven in a cup. If you want to be a little more indulgent add a little almond creamer to create that creamy texture. Or if you’re feeling the hot weather and need to cool down, pour over ice! This coffee is yummy hot or cold.